My water change set up using a siphon hose, a 5g bucket, and a plastic tub. 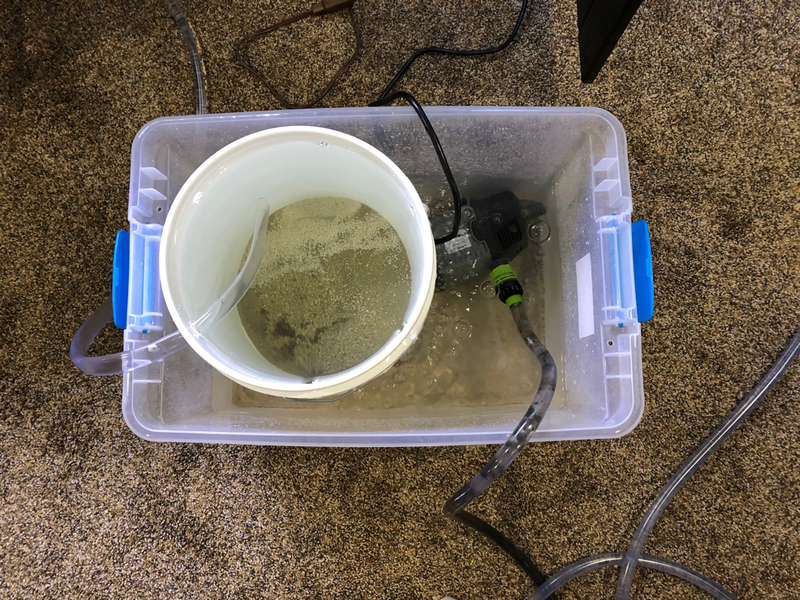 How do you remove a sand substrate from a tank, which contains fish, without stirring things up? One of the simplest ways is to use a gravity siphon.